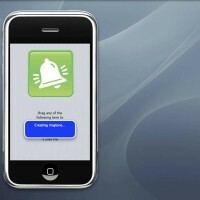 Making your own ringtones is one of the many functions that people want to do for their iPhones. There are many methods available, both free and paid, of making your own ringtones, but most of these methods all share a commonality of not being so easy to use. Today I have an application from PocketMac called iPhone Ringtone Studio 2.0 that makes creating ringtones for your iPhone fast and easy. The first thing you may have realized is this application is not available in the iTunes App Store. 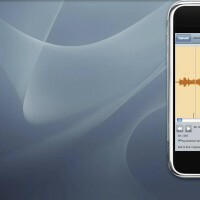 iPhone Ringtone Studio 2.0 is a software available from makers PocketMac. As such, the application is only Mac compatible. You may be familiar with the company, as they design many applications for easy syncing and managing of media for Windows Mobile devices, iPhones and Blackberries. iPhone Ringtone Studio 2.0 has the best interface I have seen for a ringtone creator; a giant iPhone! The app is extremely easy to use. Once installed, you drag your song into the iPhone interface. Then you can preview the entire song or select what portion of the song you want for your ringtone. Once the selection is made, you can add fade in or fade out effects or adjust the volume of the selection and then click ‘Create’. Once the ringtone is created, the app automatically converts the ringtone to the proper file type, opens iTunes and drops the tone into your iTunes Ringtones folder ready for your iPhone sync. I make it sound easy because it actually is. The application totally simplifies ringtone creation and the iPhone interface is fantastic. A neat, almost hidden, feature I found by accident is you can click the Home Button on the iPhone (the application iPhone, not your iPhone) and it takes you back to the beginning of the creation process. It is like a undo feature! But what I really like about the app is that the functions of converting the file and moving the file into iTunes are automated by the application, so all I am doing is choosing my tone selection! For me, it is the file conversion from .MP3 to .AAC and finally to .M4R that takes the longest, but this application does it in about 8 seconds. iPhone Ringtone Studio 2.0 is scored 5 out of 5. If you are looking for a completely simplified and fast way to get custom ringtones on your iPhone, check out iPhone Ringtone Studio 2.0. 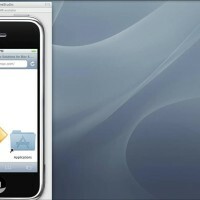 The application is available from the PocketMac website for $29.95. As a bonus, the first 500 people (this will end very quickly) that order iPhone Ringtone Studio 2.0 get to choose a free iDevil or iAngel case for their iPhone! Also, for existing iPhone Ringtone Studio owners, the upgrade is available for $9.95.